Medicine and the Muse Storytelling Retreat for Medical Students is an opportunity for you to hang out with some of the top science and medicine communicators working today. 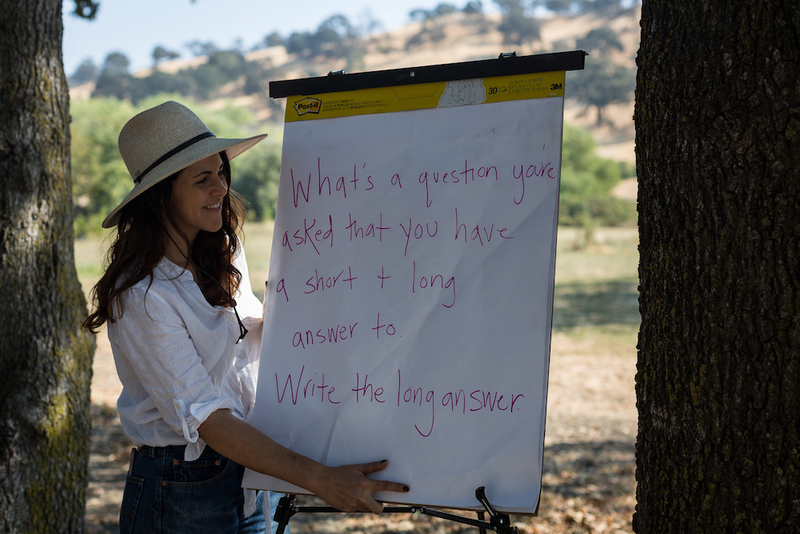 Laurel Braitman, Writer-in-Residence at Stanford's Medicine and the Muse Program leads the workshop, alongside guest instructors invited for their know-how and experience as well as their generosity, kindness and interest in supporting student work. Past guests have included Rebecca Skloot, author of the #1 New York Times Bestseller, The Immortal Life of Henrietta Lacks; Jordan Bass, executive editor of McSweeney's Publishing; Annie Brown, reporter and producer for The New York Times "Daily" podcast; Mimi Lok, Executive Director and Executive Editor of Voice of Witness (VOW); Haley Howle, senior producer for Pop Up Magazine, a live magazine the New York Times has called "a sensation;" New York Times Magazine columnist and writer Malia Wollan; and poet-writer MK Chavez, among many, many more. Laurel Braitman PhD is a New York Times bestselling author, the Writer-in-Residence at Medicine & the Muse at the Stanford School of Medicine, and a Contributing Writer for Pop Up Magazine. Her writing has appeared The New York Times, The Guardian, The Wall Street Journal, Wired and other publications and she regularly speaks to audiences around the world about issues relating science, medicine and health. She received her PhD in History, Anthropology and Science, Technology & Society from MIT and is a Senior TED Fellow. Her last book, Animal Madness (Simon & Schuster 2015) was a NYT bestseller, a science pick of the year everywhere from Amazon to Science Friday and has been translated into seven languages. Her work has been featured on the BBC, NPR, Good Morning America, and Al Jazeera. She's taught popular interdisciplinary courses at Harvard, MIT Smith College and elsewhere and is passionate about collaborating with musicians, physicians, filmmakers, artists and scientists. Laurel's next book (Simon & Schuster, forthcoming) is about medicine, family, death and teenage awkwardness. Candice Kim is a third-year medical student at Stanford University who is also pursuing a concurrent PhD in education at the Stanford Graduate School of Education. She has performed her work live for the Bowery Poetry Club (New York City) and The Nocturnists (San Francisco) and published her writing in journals like the Intima and Academic Medicine (forthcoming June 2019). She is researching the impact of storytelling on improving medical student well-being and has presented her work at multiple national conferences, including an invited presentation at the 2019 ABIM Foundation Forum this August. She has led creative writing workshops in the medical humanities in Napa, Portland, and upcoming in Berkeley. Most recently, she is working with an interdisciplinary team of writers, artists, and journalists to collaboratively create a graphic novel on solitary confinement in the California prison system (forthcoming April 2019). She comes from a STEM undergraduate background and didn’t start pursuing the creative arts/humanities until medical school, so if you have any questions about switching fields, developing new interests, or anything else please come chat! Pablo Romano is a second-year medical student at Stanford University. He grew up living in both the suburbs of Los Angeles and Guadalajara, Mexico and studied Cognitive Science at Occidental College. Currently, he thinks he might become a neurologist or a psychiatrist and is involved in research exploring the neurological underpinnings of psychiatric diseases. When he’s not studying or thinking about the brain, Pablo enjoys writing as a way of understanding and telling his own story. He also loves encouraging others to share their own and he created a recurring storytelling event at the medical school called TALK Rx to do just that. 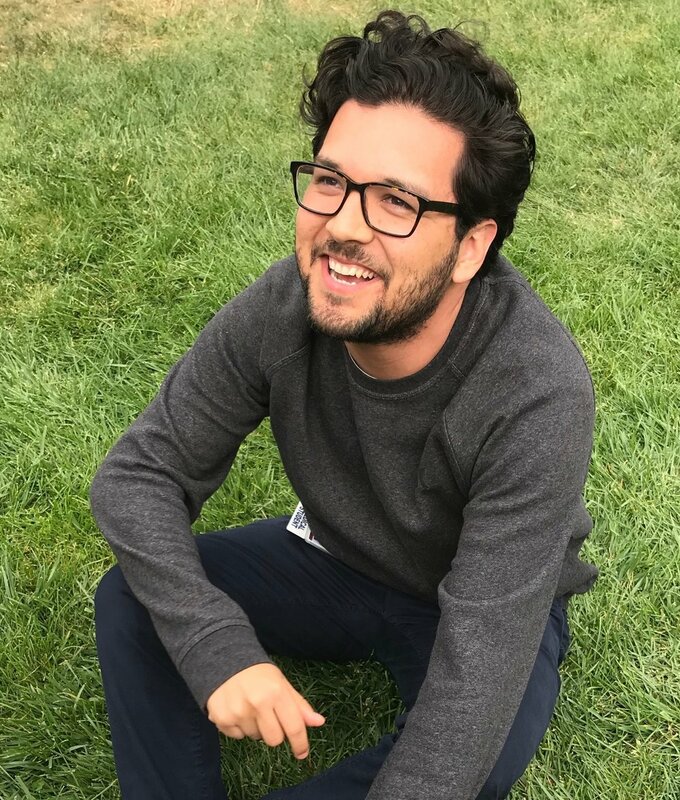 Pablo is a conversationalist who loves meeting new people and creating community around sharing meaningful moments. If you see him around, please say hello. Peter DiCampo is a documentary photographer whose goal is to contribute his work to a dialogue on international development and perceptions of Africa. He began his career as a Peace Corps Volunteer and a traditional photojournalist — now, his work seeks to deconstruct that experience. He is a cofounder of the acclaimed Everyday Africa project and its resultant nonprofit, The Everyday Projects, through which he and a network of photographers seek to dismantle media stereotypes, broaden coverage beyond the headlines, and promote local storytellers worldwide. He is the recipient of grants and awards from Code for Africa, the Pulitzer Center, Magnum Foundation, Brown Institute for Media Innovation, Open Society Foundations, and POYi, among many others. His photography has exhibited internationally, including solo exhibitions at galleries in New York, London, and Rio de Janeiro, and his work has appeared in National Geographic, Newsweek, TIME, The New York Times, Foreign Policy, Vanity Fair, The Wall Street Journal, and many more. Currently, he is a John S. Knight Journalism Innovation Fellow at Stanford University.